With over 20 years of experience in dental implants in Anaheim Hills, California, Dr. Emil Hawary can transform any smile from unpleasing to fantastic. Dental implants are an option available to replace missing teeth. A dental implant is a titanium rod that is fused to the jawbone in order to function as the tooth root, which will support a dental crown. To replace multiple missing teeth, a few implants can hold a bridge, dentures, or partial dentures. The replacement teeth will look and function like natural teeth and can improve a person’s ability to smile, speak, and chew properly. Although ideal candidates are those who have good oral and general health and have adequate bone mass, dental implants may be used on patients who do not meet these criteria. Dental implants have been successfully placed in those who have existing medical conditions, such as high blood pressure and diabetes. Those who have lost their teeth and have experienced bone loss as a result of periodontal disease or decay have also experienced good results with dental implants. Certain procedures, such as ridge augmentation or a sinus lift, may be necessary to improve jaw deformities or to ensure that the dental implants have enough bone to attach to. During a consultation at Art of Dentistry Institute for tooth replacement in Anaheim Hills, CA, your health history and the oral and dental structures will be assessed to determine if you are a candidate for the procedure. If you need to replace one, a few, or all of your teeth, dental implants may be the solution for you. During the initial consultation for teeth replacement in Anaheim Hills, CA, all aspects of a patient’s smile are assessed to help determine the best treatment plan and to ensure that the most aesthetically pleasing result is achieved. We at Art of Dentistry Institute want to ensure that your desired results are achieved in the best possible way. To find out if you are a candidate for dental implants in Anaheim Hills, California, contact us at 949-955-3366 to schedule a consultation. We look forward to hearing from you! Implants Anaheim Hills. Dental Implants Anaheim Hills CA. 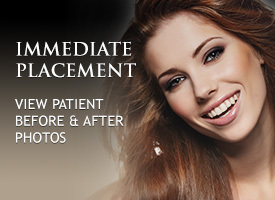 Teeth Replacements Anaheim Hills California.